A stay on a working farm is a great way to get back to nature, watch plants grown all around you and meet farm animals. 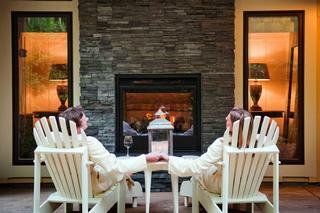 Our list of the best getaways in Sonoma includes luxury as well as affordable options for couples and families. If you are looking to celebrate a romantic occasion in a luxury setting, book a room at the Farmhouse Inn & Restaurant which has a fantastic restaurant and a spa. 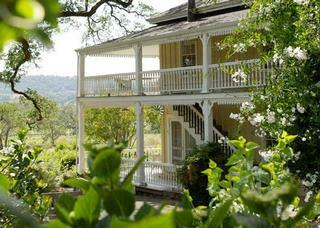 The historic Beltane ranch is a great choice for couples celebrating an anniversary or a special occasion. Full House Farm is a beautiful destination for families and couples who want to spend their vacation learning about agriculture. More ideas in California. 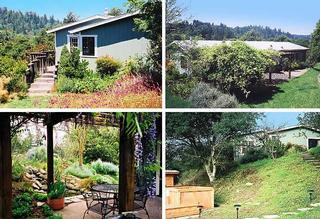 Beltane is a working ranch overlooking the Sonoma Valley, surrounded by lush vineyars and gardens. Guests are accommodated in a historic ranch house which dates back to 1892. 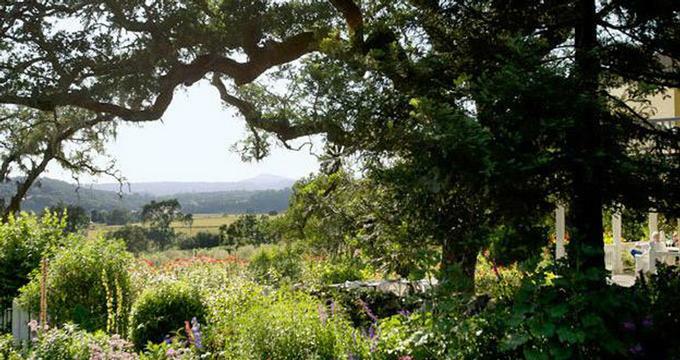 On your romantic vacation to Sonoma, take walks past grazing horses, stroll through private vineyards and organic gardens. Accommodations at Beltane include five guest rooms in the historic main house and a romantic cottage with a private garden. Guest rooms have individual outdoor entrances and are furnished with local artwork and antiques. Rooms at Beltane start at $160 (707-996-6501). Farmhouse Inn & Restaurant is a luxury family-owned bed and breakfast with a spa, stylish guest rooms and a gourmet restaurant. Located in the heart of the Russian River Valley, the inn is centrally located near some of the best wineries in Sonoma. The working farm produces honey, wine, vegetables, fruit and eggs. During the day, visit the nearby towns of Healdsburg and Santa Rosa, explore the wine country by bike and relax next to the pool. The Michelin-starred Farmhouse Inn Restaurant offers the perfect romantic setting for a special selebration on your romantic vacation. Room rates start at $445 per night (707-887-3300, 800-464-6642). If you are looking for an affordable family getaway, Full House Farm is a great choice. It is located on the western edge of the Sonoma wine country and offers three vacation rental options: a 3-bedroom, a studio cottage and a farmstay trailer. There are two organic gardens, workshops with horses and tours. The organic garden grows corn, beans, artichokes and other vegetables. During the 2-hour guided tour of the farm you will get a chance to see animals like sheep and horses. The tour is free if you are staying overnight. Nightly rates start at $115 (707-829-1561). Best Adventure Vacation Ideas: Go Ape!